A few weeks ago, Lucasfilm announced the Star Wars Blu-rays are coming in September, but they didn’t give a firm release date. Until now. 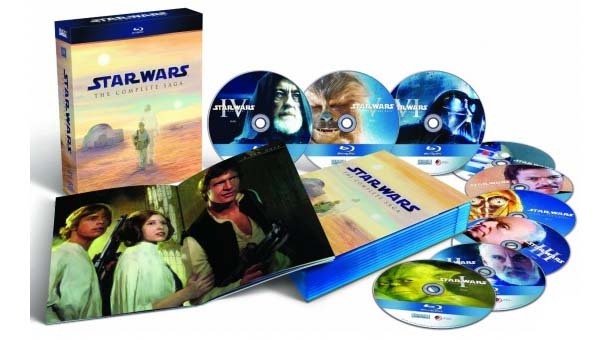 According to the listing on Amazon, the 9-disc Blu-ray set, which includes all six “Star Wars” films and three discs with more than 30 hours of special features, will launch September 27 in the US. The Amazon UK product listing states the UK release date to be September 30th 2010. Still no official word from 20th Century Fox Australia on a definite Australian release date or Australian pricing however EzyDVD.com.au has listed the price of the Complete Saga at $139.97 with the original and prequal trilogies priced at $69.97 each.